Newcomer Family Obituaries - Bobby Ray Dyer 1935 - 2019 - Newcomer Cremations, Funerals & Receptions. Bobby R. Dyer, age 83, of Washington Township, OH passed away on Friday, April 12, 2019 at Kettering Hospital after an extended illness. Bob was born in Hindman, KY to Ted and Opal Dyer on September 1, 1935. He entered the Air Force at the age of 15 due to hardship after the passing of his father. During the Korean Conflict, Bob served as a medic stationed in Wiesbaden, Germany before being transferred to Wright Patterson Air Force Base where he completed his enlistment. Upon his discharge he went to work in Dayton at Rike’s Department Store as a shoe salesman, after which he went on to earn his cosmetology license. Bob met Bulah soon after she came to Dayton, where she worked at the Country Kitchen as a car hop. They had an immediate connection, as they were both from Eastern Kentucky. Bob and Bulah were married on January 11, 1958 in Dayton. Bob was a hard worker and excellent provider. He was a loving father, husband and grandfather. During his career as a hair stylist, he owned several salons and a beauty college. He took great pride in his clientele which included many Dayton business leaders and their families. Bob enjoyed playing cards and woodworking. He loved shopping and was a meticulous dresser. Bob loved to tell stories and jokes…whether appropriate or not(!). Bob is preceded in death by his loving wife of 61 years, Bulah Dyer; parents, Ted Dyer and Opal Gamble; and brothers, Raymond Dyer and William “Bill” Dyer. 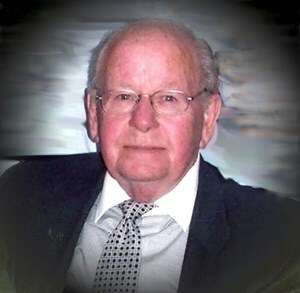 He is survived by his sons, Robert Warren Dyer (Tonya Jackson) and Michael Ray Dyer (wife, Tracy); sister, Mary “Sissy” Derrick (husband, Dave); grandchildren, Allie Dyer, Andrew Dyer (wife, Morgan), Austin Dyer, Leighanne Dyer and Logan Dyer; and Rocky, his sweet dog who brought him great joy. Family will receive friends from 4:00-6:00 pm on Wednesday, April 17, 2019 at Moraine City First Church of God, 5867 Springboro Pike, Dayton, OH 45449. A memorial service with military honors will begin at 6:00 pm, with Pastor Donald Curtis officiating. In lieu of flowers, memorial contributions may be made to Moraine City First Church of God. To leave a special message for Bob’s family, please click Share Memories. Add your memories to the guest book of Bobby Dyer. I gave more memories than I can comment of Mr. Dyer coming out in the garage and asking what are you boys up to? " Our response didn't matter we always got the same retort..."Get out of here now and go find something to do." He almost caught us knicking the salt pickles out of the jar.